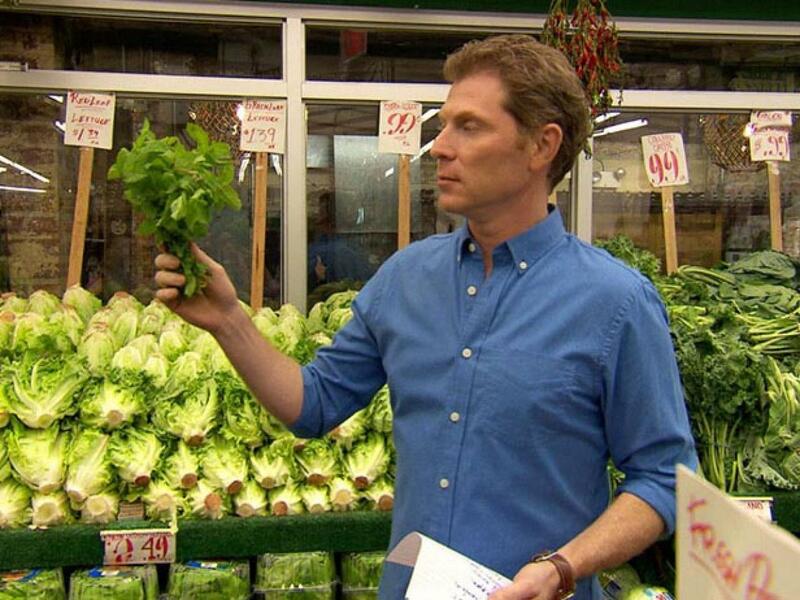 Bobby Flay manages to stay fit and healthy even with a busy lifestyle as a chef, and he's eager to share his healthy eating and fitness plan with fans in the return of his Web series, Bobby Flay Fit. The focus of Episode 9 is to make smart choices: Planning a clear shopping list of healthy ingredients will help you make smarter choices at the grocery store and prevent the temptation to buy extra food while walking the aisles. In Episode 9, Bobby plans a healthy lunch menu by making a list of fresh vegetables and lean proteins he'll need to buy before hitting the market. 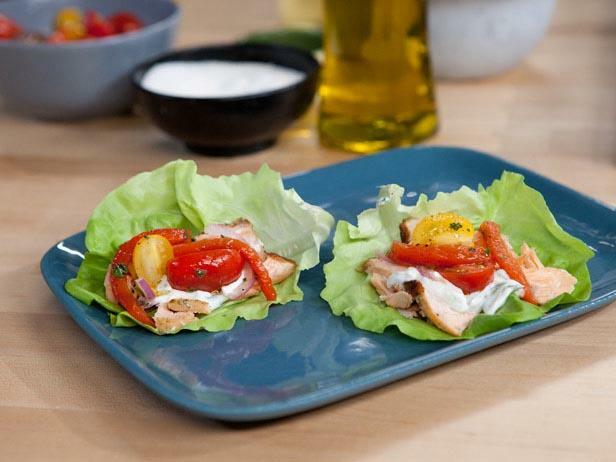 He chooses ingredients that offer big flavor without added calories, like fresh herbs and serrano chiles, and demonstrates how to make a satisfying grilled salmon lettuce wrap that's topped with a light red pepper relish and creamy tzatziki sauce made with fat-free Greek yogurt. By planning ahead and making smart shopping selections, Bobby is even able to treat himself to a small serving of gelato as a reward for these healthy habits. Plan a healthy shopping list that focuses on fresh vegetables and lean, flavorful protein choices. Stick to the shopping list at the store to avoid being distracted by other unhealthy foods. Be creative and choose ingredients with big flavors, not big calories. Use cooking methods that don't add fat to a dish, like grilling and baking. Don't deprive yourself; the occasional treat in a small portion will satisfy cravings and prevent overindulgence. In Episode 5 of Food Network's Web series "Bobby Flay Fit," Chef Bobby Flay talks about how to find inspiration to keep on doing. 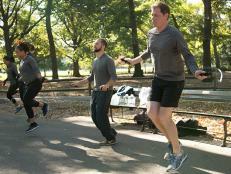 In Episode 4 of Food Network's Web series "Bobby Flay Fit," Chef Bobby Flay focuses on the importance of discipline, not just with exercise, but also with food. 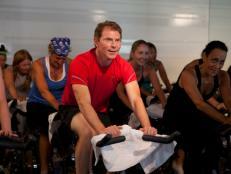 In Episode 2 of Food Network's Web series "Bobby Flay Fit," Chef Bobby Flay shows viewers how he stays motivated to stay healthy and fit. 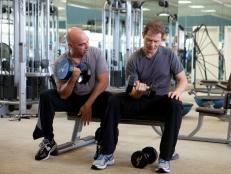 In Episode 3 of Food Network's Web series "Bobby Flay Fit," Chef Bobby Flay talks about the importance of trying new exercise routines. 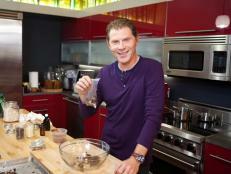 In Episode 7 of Food Network's Web series "Bobby Flay Fit," Chef Bobby Flay goes over his entire plan in a review. Bobby Flay manages to stay trim despite life being immersed in food, and he’s eager to share his secrets in a new web series, Bobby Flay Fit, starting on January 14. The focus of Episode 11 is to inspire others by example: Demonstrating discipline in your personal fitness and healthy eating habits will inspire those around you.